In this brief post I am going to explain the purpose of the PublishingSource registry value in App-V 5.0 and how it works. It is via this PublishingSource value that the App-V Publishing Server comes to know whether it has authority over a package or not. A Publishing Server will never unpublish a package if it is not listed in PublishingSource. A simple way to observe this behaviour is to remove the data from the value and try and unpublish the package, the package will essentially become orphaned and remain on the machine. The publishing server however will retake ownership should you ever re-publish the package. 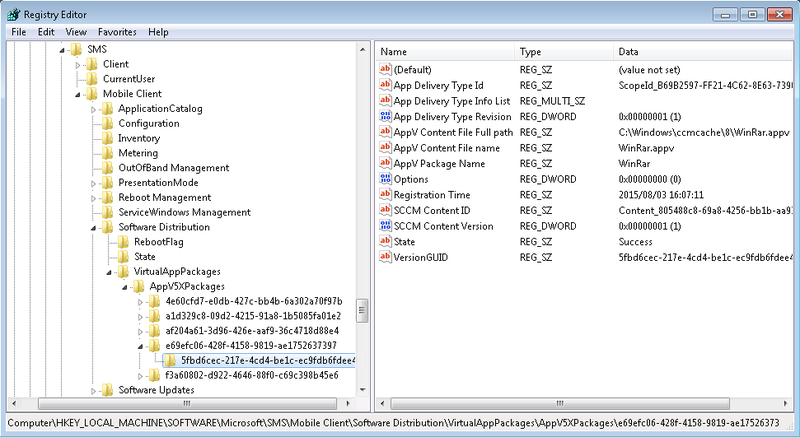 Both Standalone mode and SCCM leave the PublishingSource value empty upon publish of an App-V Package. Standalone mode negates ownership of delivery in its nature. This also means packages that are delivered in standalone mode will not be removed by a publishing refresh with App-V full infrastructure. Here you find a maintained list of all App-V packages and their relevant properties. 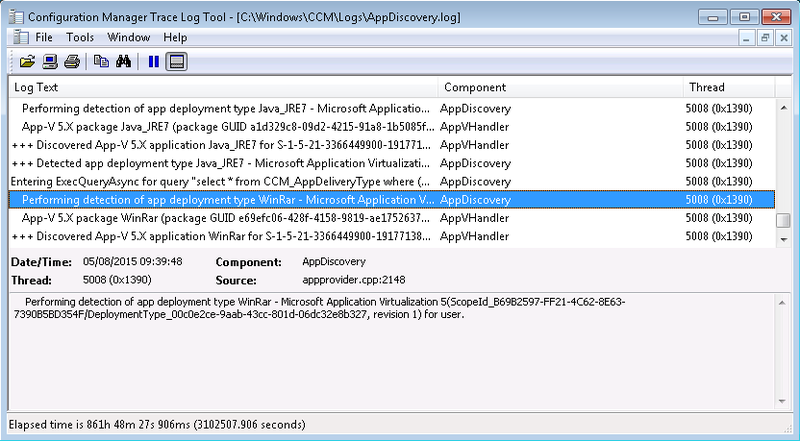 One of the key values in here is the App Delivery Type Id which contains unique GUIDs identifying the scope and deployment type, SCCM uses these to understand whether or not a deployment is present and what it’s status is. Its for this reason you should not use stand alone mode to remove an App-V package that has been delivered via SCCM 2012 as it will not clean up these references and SCCM will believe the package is still present on the machine. I have installed App-V 5.0 package through SCCM 2012 and afterwards due to some modifications required, I had to update the package (version ID got changed) there by I have updated content in DP servers. Hi Raj, you should be using the supersedence feature of SCCM to achieve the upgrade. There is a difference between unpublish and remove. Of course the publishing server will automatically unpublish a package if it is unpublished on the server console. A removal however will never occur. 1. Why has that sting value been lost? 3. If it was only used for the server’s ownership: why should the application not start? I mean the application does not even check if the data is correct. Is this a bug? Its hard to say exactly what your issue is from your explanation however I think understanding why the value is being los tis key, could you share how you are currently publishing App-V packages and how your publishing server client setting is populated. I have just seen this issue, exactly the same as you have described. Just wondering did you find out a root cause for this? I am looking at a Citrix XenApp environment. Did anyone find out the root cause is this a bug? we are publishing using https on publishing server. The client setting is populated using group policies. Can you confirm that your application isn’t working if rename registry value publishingsource to eg. publishingsourceX ? And can you confirm that the value is not recreated using repair function? Hi, yes you can use the mount-appvclientpackage command from PS. How does VMware UEM work with App-V 5 Packages?